Every now and then, a new ingredient hits the market, and people all over the world go nuts about it. To be fair, charcoal has been around for years, if not centuries. But in the past few years, activated charcoal has been praised as “the next big thing in the skincare world”. And with that in mind, we want to talk about best charcoal face wash. The question is, how activated charcoal went from a detox ingredient in your diet to the beauty aisle? Well, it took some time, but we can safely say, the path was not easy. In the past couple of years, we’ve all seen those satisfying videos of people peeling black masks off their skin and the grime being lifted with it. The charcoal face mask has been recognized as one of the best ways to get rid of acne. Face washes are something else, but they offer the same benefits for the skin as a charcoal face mask. Charcoal has become a game changer for oily and acne prone skin. Simply put, if you have oily skin, you just have to try some charcoal product. By sticking to your skin, and removing all of the dirt and oil in your pores. When you wash your face, you wash away all of the debris clogging your pores. The good thing about charcoal face wash is that you get the benefits, without drying and dehydrating your skin. Let’s take a look at the benefits of charcoal, how it helps your skin, how to use it, and what are some of the best face washing products on the market. 2 How activated charcoal helps your skin? 3 How to use activated charcoal? We have to start from the beginning. And in this case, that is explaining what activated charcoal is. Activated charcoal is common charcoal that has been heated in a way it develops a lot of small spaces, or in other words pores, in it those trap chemicals. Activated charcoal is produced by small particles of carbonaceous substances. Some examples include dust and coconut shells, which are afterward heated to high temperatures to form charcoal. To activate the charcoal, steam is used, or any hot air source to erode the internal surfaces, which increases the absorptive surface area. This is the area that draws out harmful dirt, oil, toxins, and impurities from your skin. How activated charcoal helps your skin? The reason why activated charcoal has become so popular as skin care remedy in the past few years, is the usefulness. Let’s be honest, there are number of ways charcoal helps your skin. Toxins from the environment, dirt, oil, and everything else, clogs your pores. When your pores are clogged, they appear visually bigger. There is so much damage that air pollution is doing to your skin. And when pores are not clean, your complexion is not clean as well. Activated charcoal has the ability to bind to dirt and toxins and pull them out of the pores, making your pores visually smaller. Your face looks fresh, and your pores are nowhere to be found. People who have oily skin, know the daily struggles it takes to keep your skin balanced. Activated charcoal might be the best thing you can put on your face to balance the oiliness. As mentioned previously, charcoal has the ability to pull things out of your skin. That applies to excess oil as well, leaving your oily skin looking and feeling smooth. However, you do not want to use activated charcoal on a daily basis for oily skin, as it can dry it out. Once or twice per week is more than enough. Those with dry skin should stay away of activated charcoal. We mentioned at the beginning, that charcoal has been dubbed as the best remedy for acne. In the past few years, activated charcoal for acne is a treatment that even some dermatologists recommend. Depending on what is causing your acne, charcoal can help. If your acne is caused by oily and acne prone skin, or by bacteria clogging your pores, charcoal is the way to go. As it can absorb toxins, bacteria, and impurities, charcoal will leave your skin clean. You can use it for prevention of acne and treatment of acne as well. You can even use it as a spot treatment. The gritty texture of activated charcoal makes it a great option when you need gentle exfoliation. Now, remember, charcoal is not deep cleansing and exfoliating options. But as a gentle exfoliator, it works like a charm. Exfoliation helps with removing buildup on the surface of your skin. Using charcoal can help you achieve even skin. Just go to any skin care store, and see the ingredients in the deep cleansers. There will be activated charcoal in pretty much every one of those. Some are more powerful than others, and some you cannot use on a daily basis. But the fact of the matter is that charcoal can be used for deep cleansing of your facial skin. This is one of the underrated benefits of activated charcoal for the skin. You can use it on infected spots, for example, when you are stung by a bee. Or if you had a cut from the kitchen. Use the charcoal to speed up the healing process, and relieve the symptoms. For some minor skin ailments like insect bites, you can apply it topically. When applied as a paste, the charcoal will absorb the venom and infection from your skin. In the same time, it will bring down swelling, and reduce the pain. There are many DIY facial masks you can try with activated charcoal. Nowadays, you can find activated charcoal in loose powder form or in capsule form. There is absolutely no difference what you choose. If you buy capsules, just break it open to use the charcoal. Today, we will talk about charcoal face washes, which utilize charcoal as a beneficial ingredient for your skin. You can use these washes on a daily basis, and reap the benefits of charcoal. The best part about this face wash is its versatility. It works for all skin types. No matter if you have sensitive skin, dry skin, oily skin, or anything in between, this face wash will work perfectly. That is what makes the product perfect. As a bonus, the product clears all the dirt and oil from your face, but also brightens your skin. According to the manufacturer, it can even out tone, tighten your pores, and exfoliate dead skin cells. The main active ingredients are licorice root, artichoke leaf extracts, and glycolic acids. The company praises itself in using natural products, mostly from plants. That means no harmful chemicals inside. The warming cleanser will unclog your pores, absorb excess oil, and penetrate deep into your skin to refine the look of your pores. The suggested use is on damp skin, gently massaging in a circular motion and then rinse with clean water. 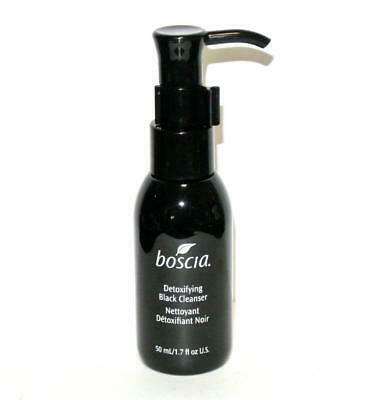 Penetrating deep into your pores, this charcoal cleanser will help cleanse your skin thoroughly. Designed to remove surface-level impurities including makeup, daily dirt, and oil. The gentle formula can help eliminate toxins from the deepest levels of your skin. One of the few products that offer two levels of purification, the cleanser leaves your face feeling purified and refreshed. 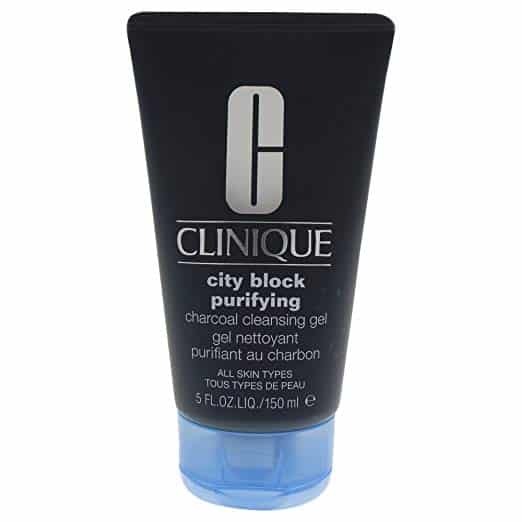 The cleanser provides good foaming that can purify pores, and then rinse the impurities. Originally, it is designed to work for oily skin. But you can try for other skin types, although, there is no guarantee you get results. Most of the negative reviews are because people are trying it on normal or sensitive skin. The product is dermatologist tested, and oily free. It is best that you use on a daily basis if you want results. We talk mostly about charcoal face washes, but there are also products that work for face and body. Now, you might be skeptic, since our facial skin and our body skin are two completely different things. How can a product be good enough and the formula suitable for both areas? Well, that is why Safe House has such a high grade and rating. Formulated with a blend of essential oils, the wash is potent and powerful to heal almost everything. Other ingredients include aloe vera, coconut oil, and bentonite clay. This way, you get a cleanser, an exfoliating agent, and moisturizer all in one. Thanks to the antifungal properties, the wash can help in calming down rashes. The product is even PETA approved for all of you pet lovers out there. And of course, most importantly, it is manufactured in the USA. Probably one of the best products for cleansing your face. The company prides itself in using innovative, natural, fun, and efficient beauty solutions. With their motto “Yes to Happiness”, this product promises you will get a facial skin you are happy with. The product was designed to clear up acne breakouts, but do it without any harshness. The two primary ingredients are tomatoes and charcoal. We talked previously how good charcoal is for your skin, and tomatoes are even better. Rich in antioxidants and vitamins, tomatoes provide nourishment for your skin, all while charcoal removes impurities. Being a natural product, 97% of the ingredients are all natural. 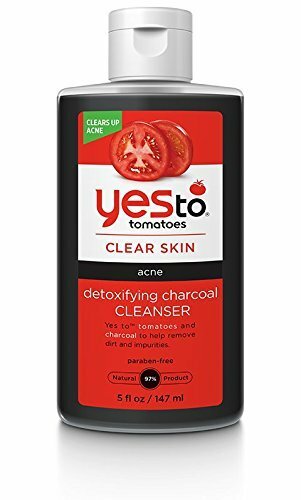 In addition to tomatoes and charcoal, the cleanser contains salicylic acid, which can penetrate deeply into your pores and clean them. The product has not been tested on animals, which is always a positive for people who fight animal cruelty. 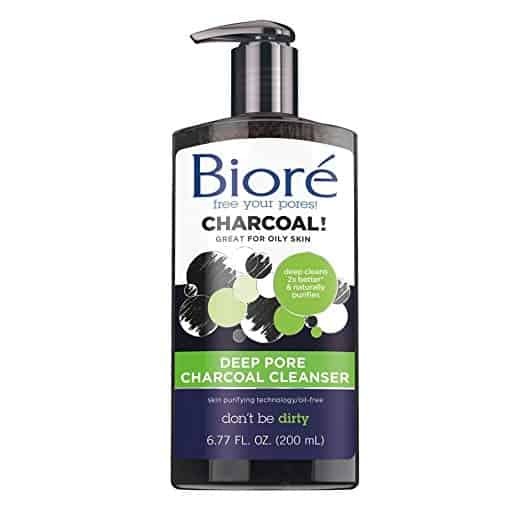 We would like to finish the list of best charcoal face wash with a product from a well-known company in the beauty world. Clinique has so many amazing products for skin care, we just had to include them on this list. 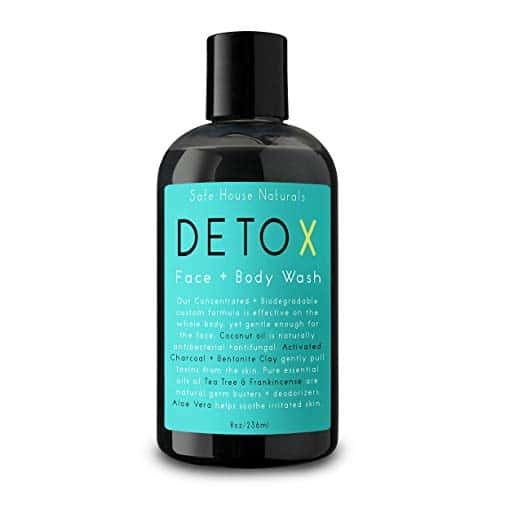 This facial cleanser is designed to cleanse your pores, detoxify your skin, and remove all traces of dirt and pollution. In addition, the mask provides some nourishment and vitamins for your skin. After use, your skin will feel smooth and look refreshed.